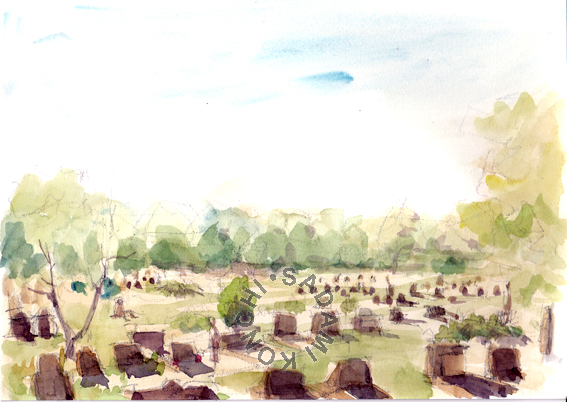 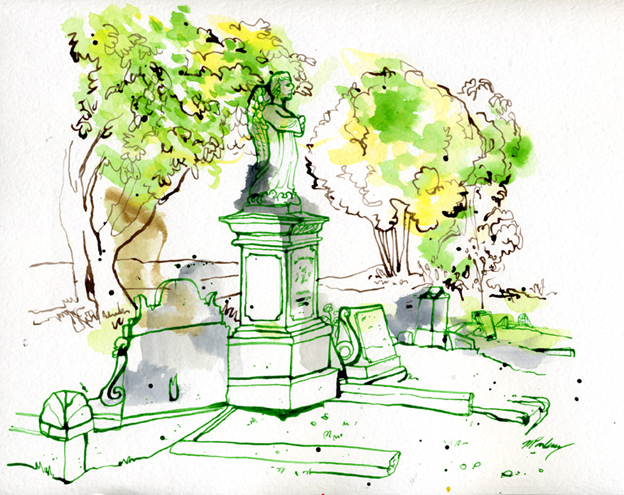 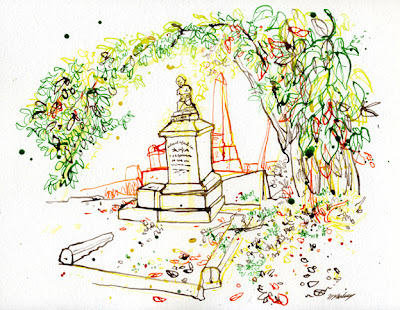 I dont know what it is about cemeteries that I enjoy drawing but Rookwood has always been on my checklist of places to draw, so when the Sydney Sketch Club headed out for its Open Day I thought it was a great opportunity. 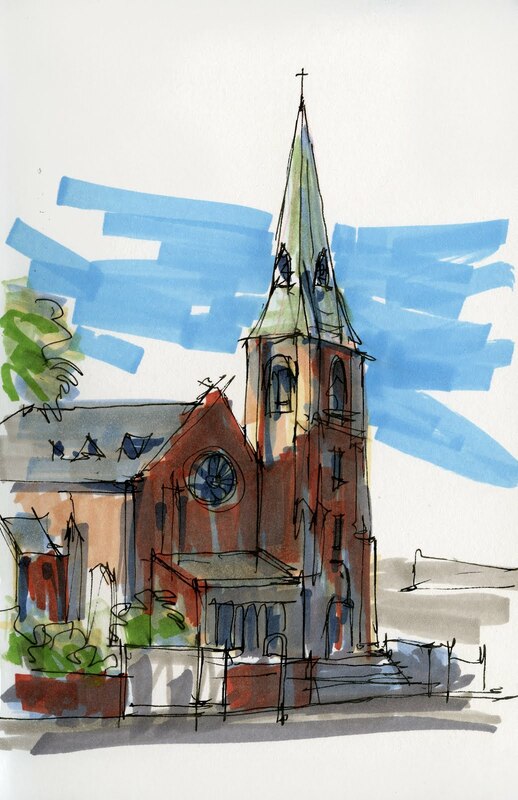 Although I never managed to actually meet up with the other sketchers (due to my inability of reading maps and understanding bus shuttle services) I headed up to the older Anglican section. 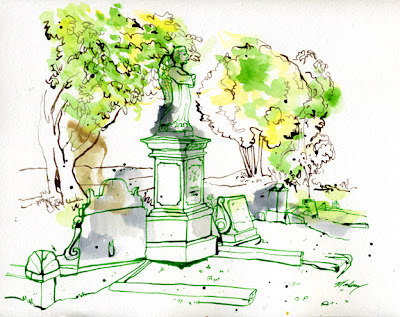 Many of the graves in this area dated around the early 1900s and many seem to be neglected, which from an artistic point of view, is appealing. 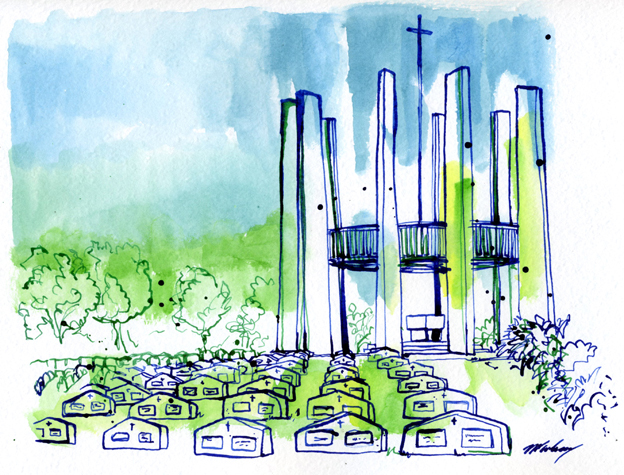 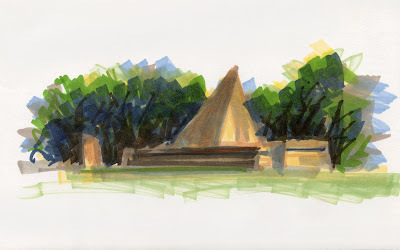 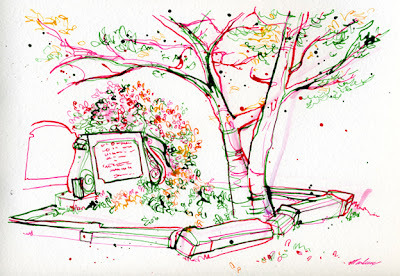 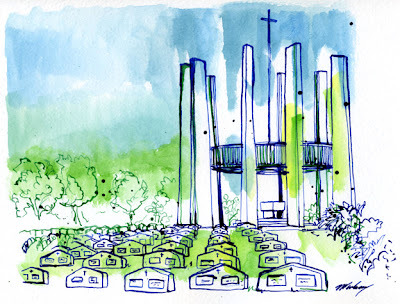 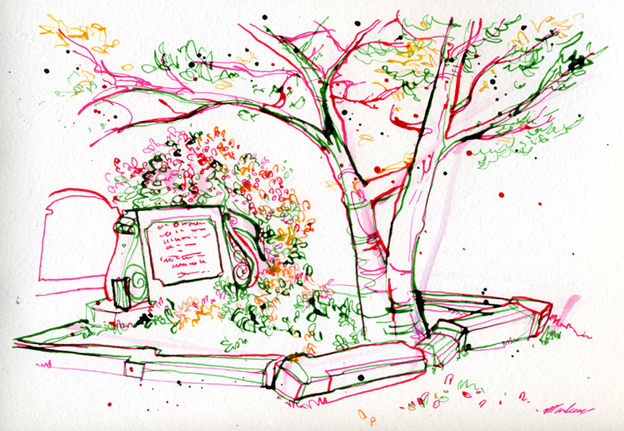 As sad as it may be, some of the graves I saw had flowering trees growing from it which I thought was really heartwarming, and the weather was so perfect it was really peaceful and pleasant sketching away from all the noise. 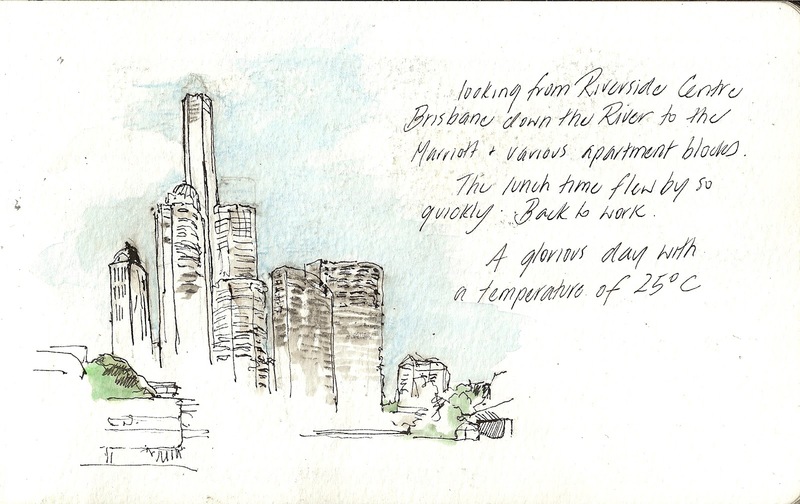 I couldn't think of a more idyllic location. 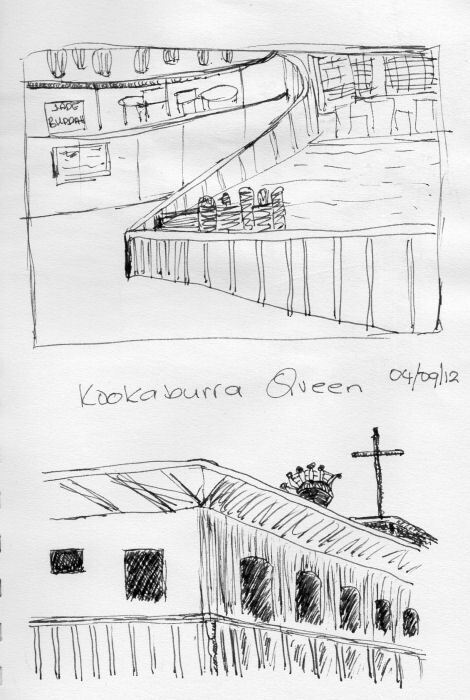 The last place I visited seemed to be an area dedicated to fallen Australian soldiers with a simple, but striking memorial called The Crown of Thorns. 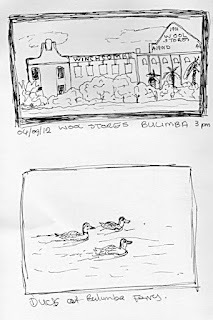 It goes to show how big Rookwood is, I used to come quite regularly with my family, as part of my culture's customs, but I never knew of this area. The deceased are just as interesting as the living. 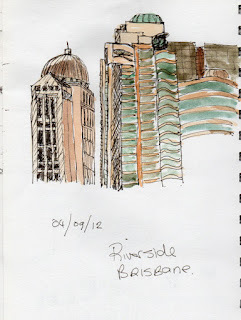 I recently spent two weeks in Brisbane for work and spent my lunch hours sketching. 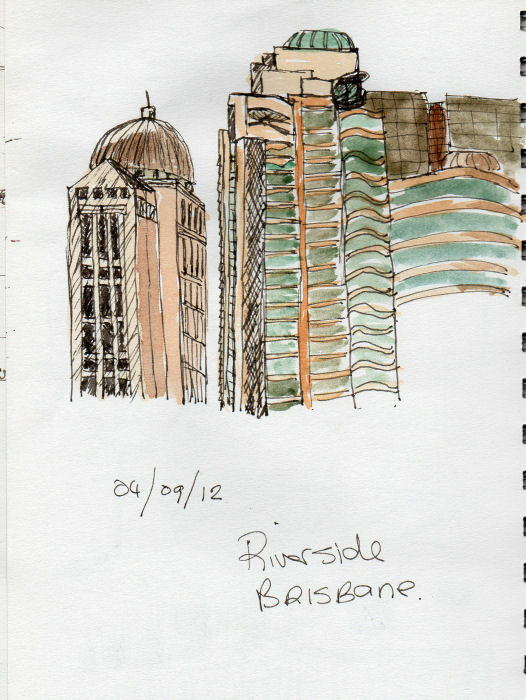 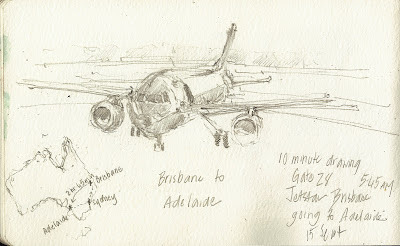 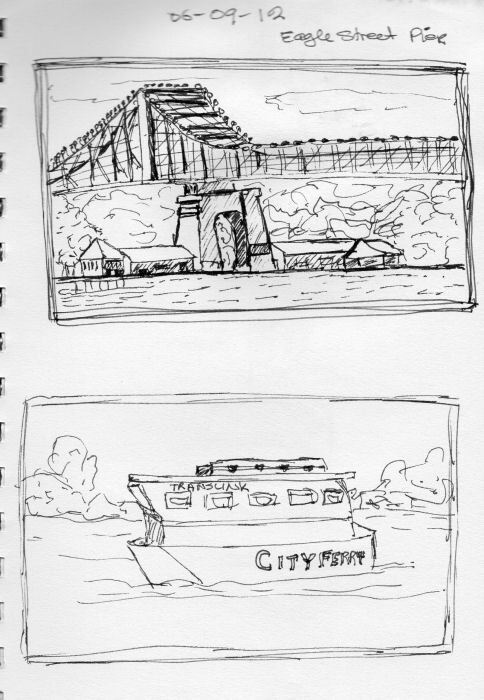 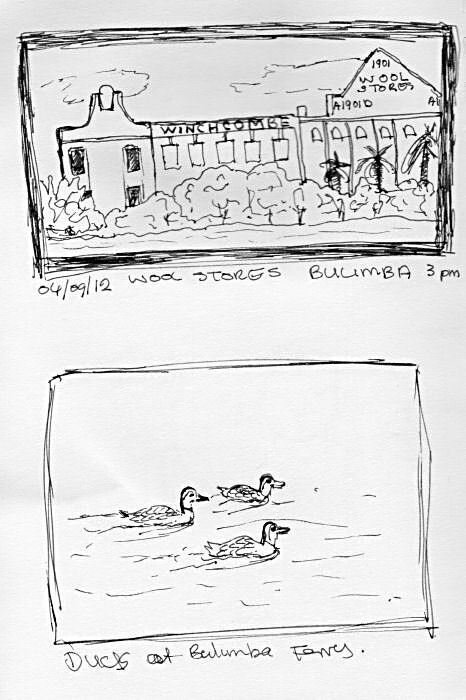 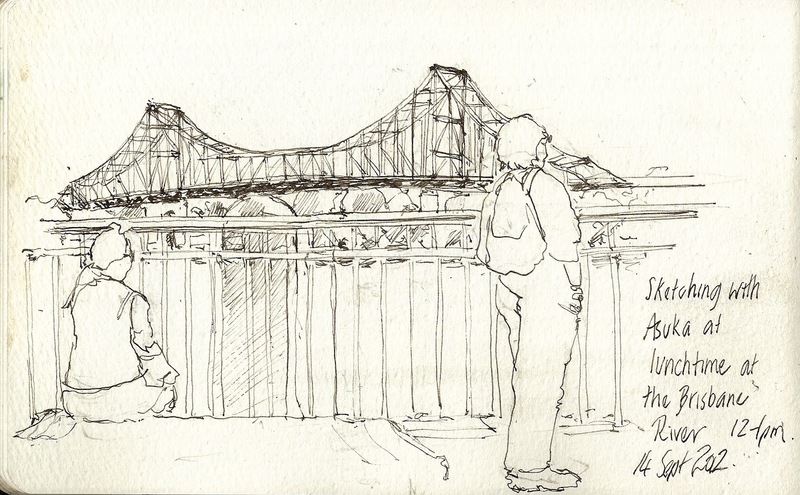 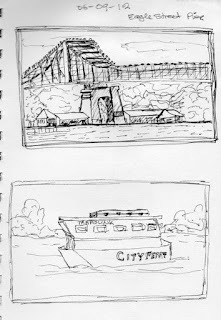 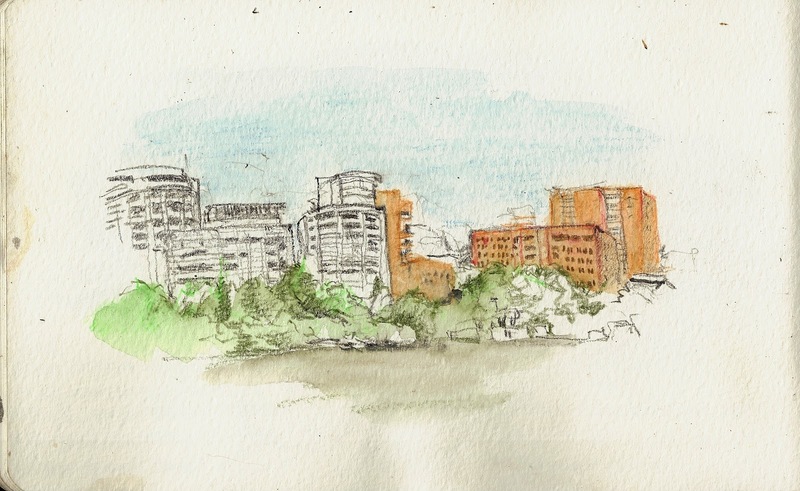 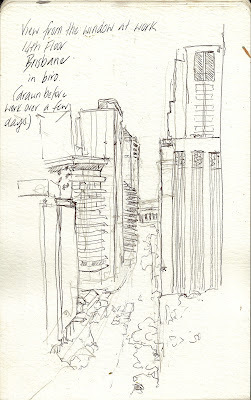 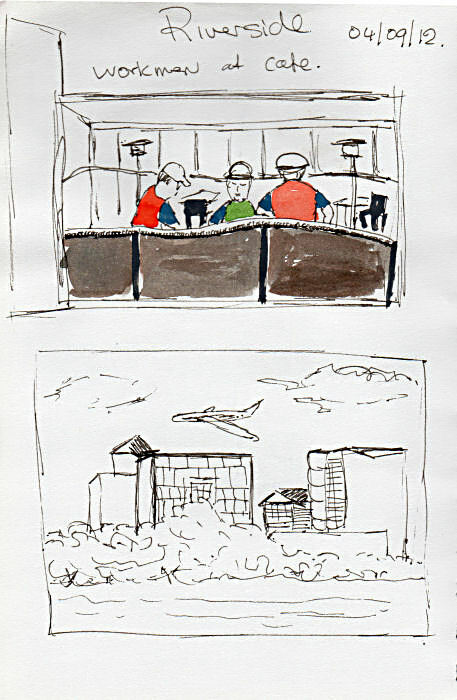 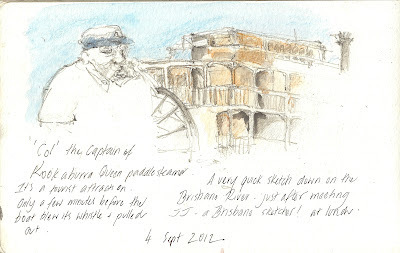 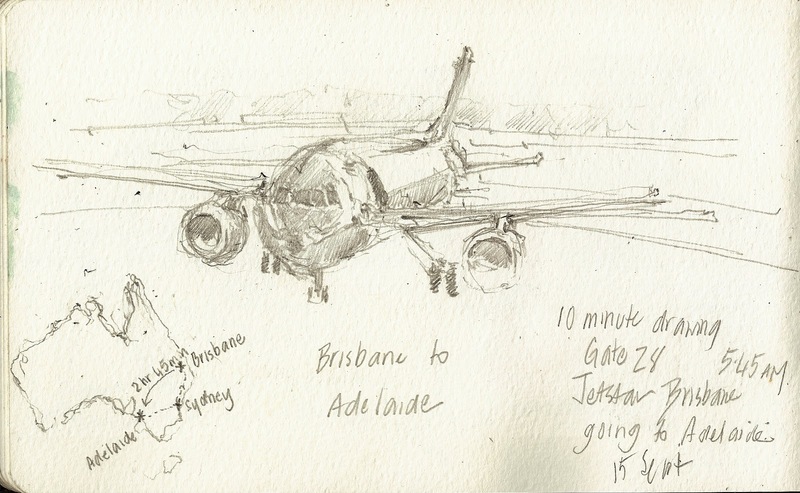 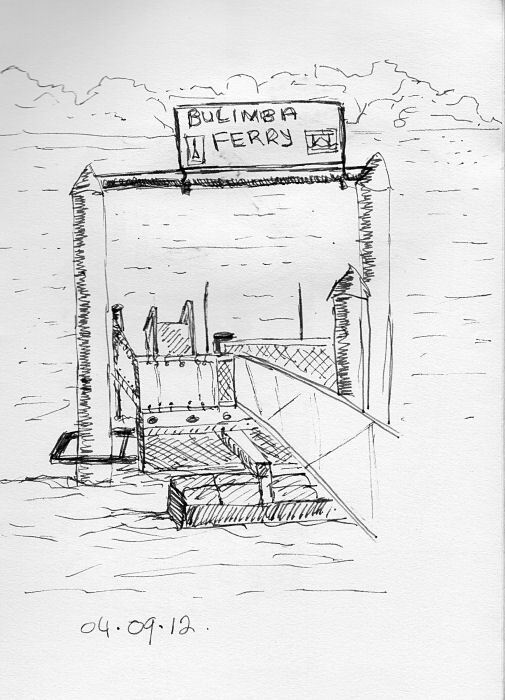 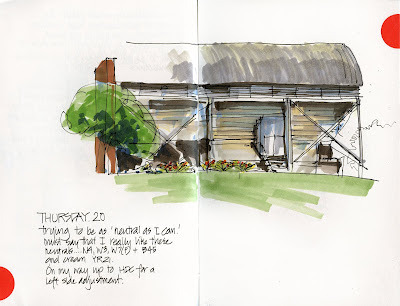 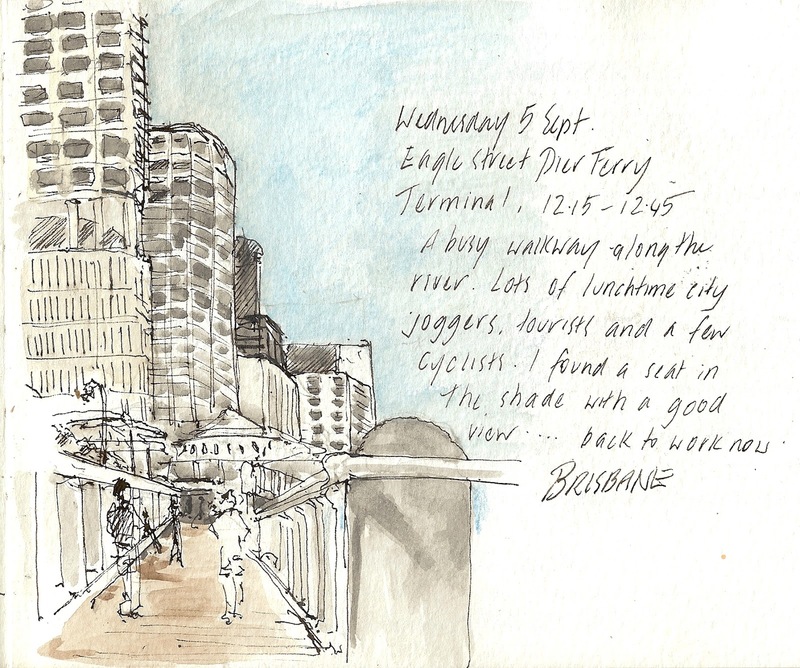 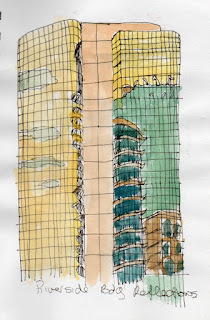 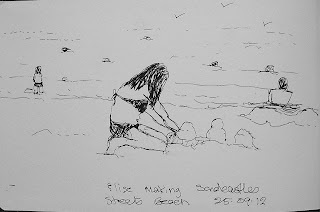 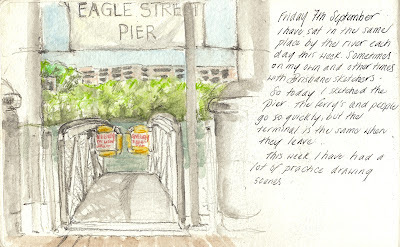 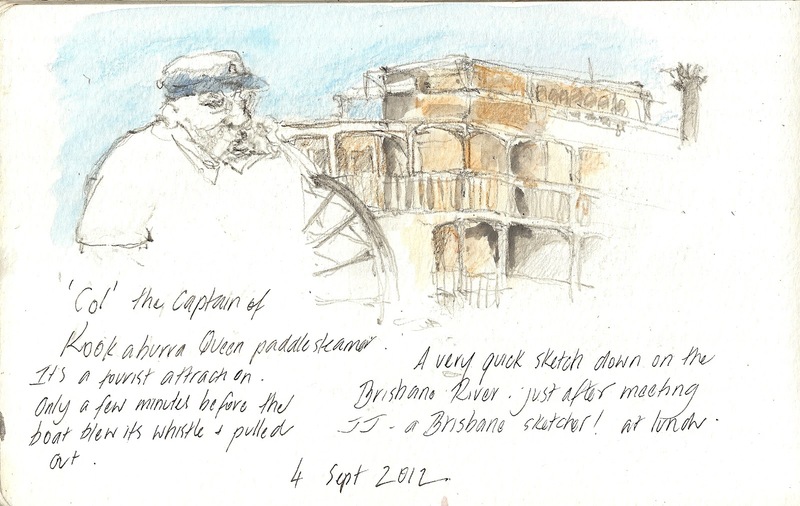 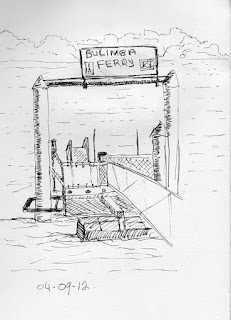 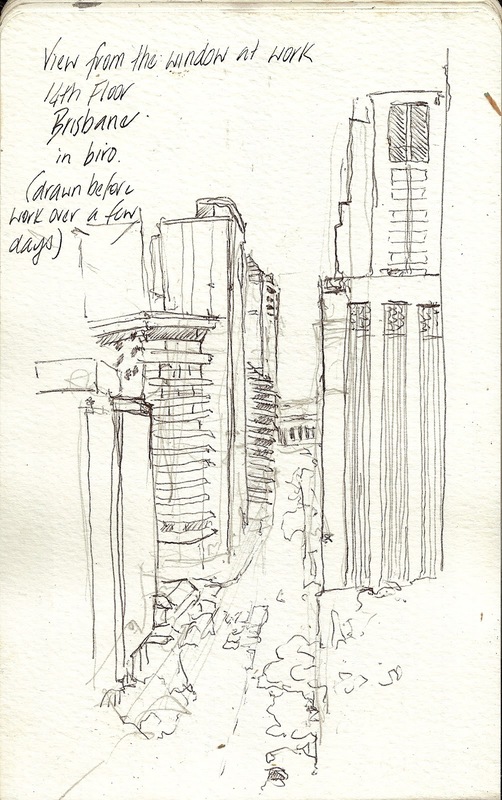 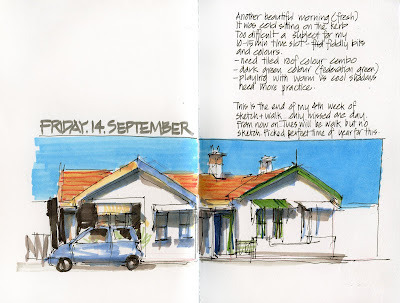 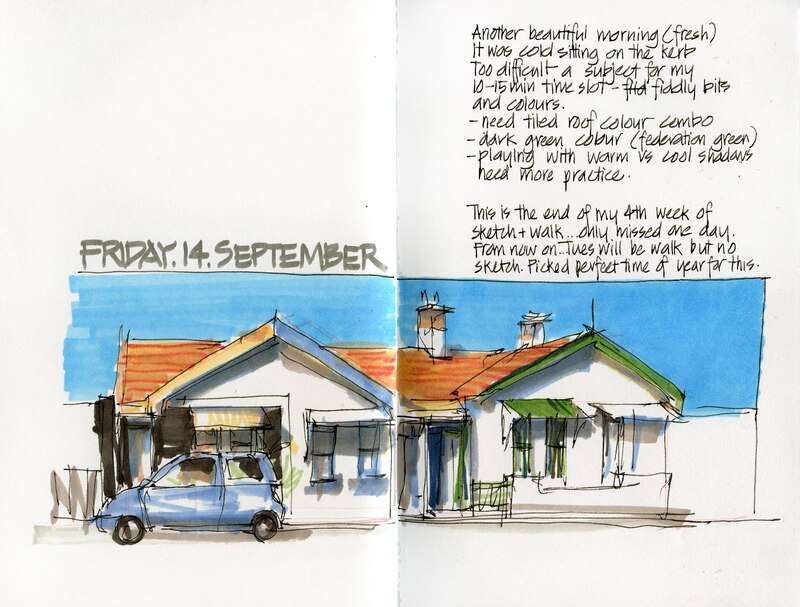 I was fortunate to meet up with two Brisbane sketchers JJ and Asuka and they met me by the Brisbane River to sketch. 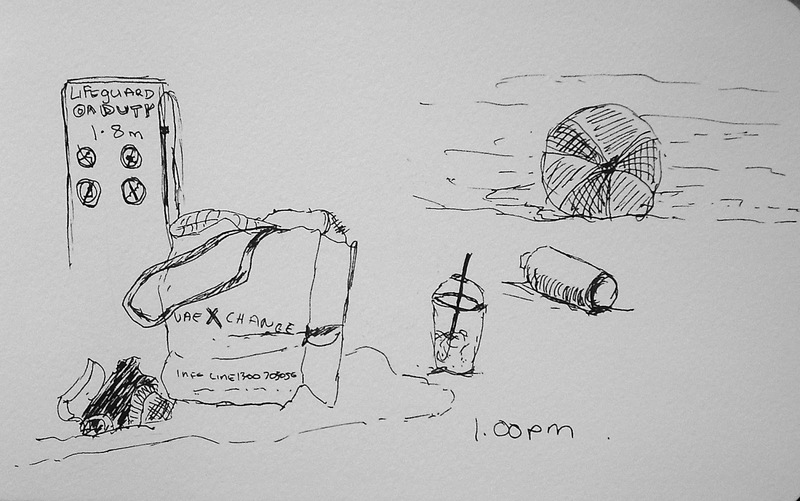 I sat in the the same place everyday and there was so much to sketch. It was wonderful to make these interstate USK connections and I will let them know next time I am going to visit. 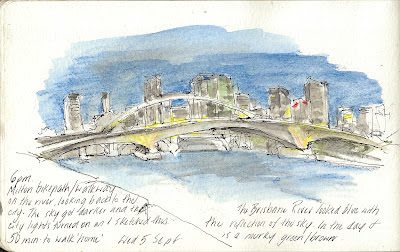 View of North Sydney from Neutral Bay. 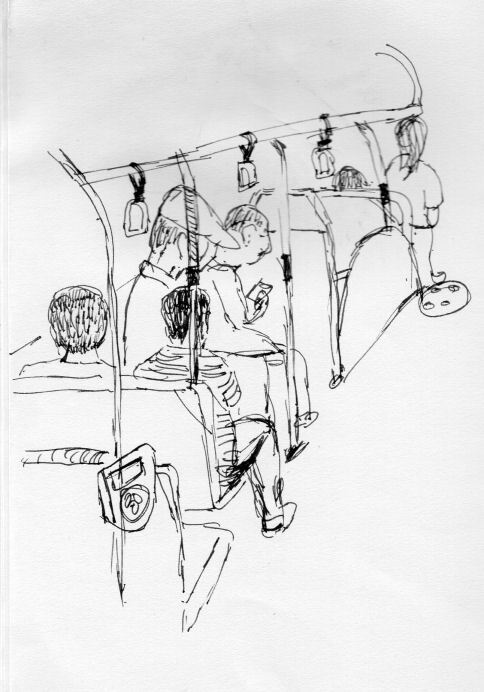 I'm using a new brush called COPIC MULTILINER SP. 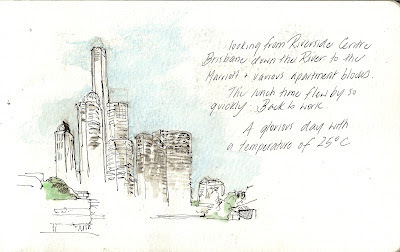 It's a rapidograph BUT with a brush nib. On Saturday I turned up for the lunar Moon Festival celebrations. It's largely to celebrate the change in the seasons and falls on the day the moon is at its highest and brightest in the sky. 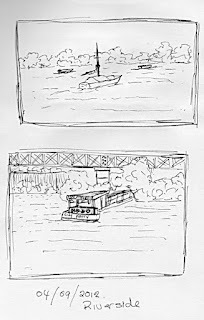 There are many legends that are attached with this too, but I think the one I was told is actually attached to a celebration in July. Anyway, as a member of a martial arts school in Sydney we practice lion dancing. 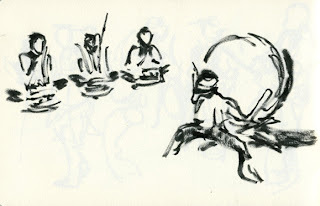 Most of our performances occur during the New Year Festival, but this is the other big one on our calendar. 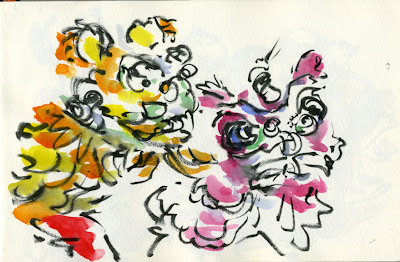 And we visit shops and restaurants in Chinatown wishing them good fortune, and they return the good fortune by giving us a red packet with money in it attached to a head of lettuce or choy. 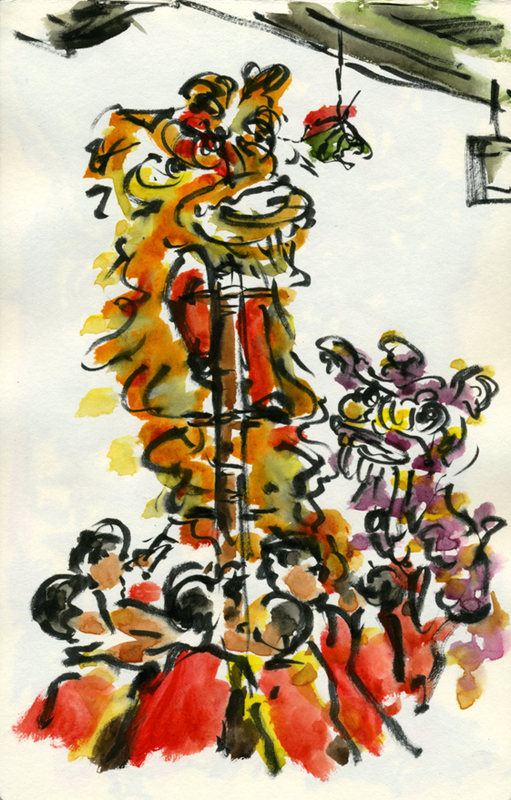 However, it is either tied at the top of the doorway or from the awning and the lion must retrieve it, even having to climb a 10 foot pole secured only by the grip of 6 guys. 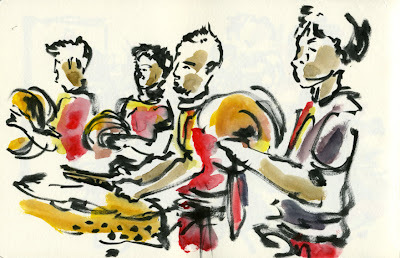 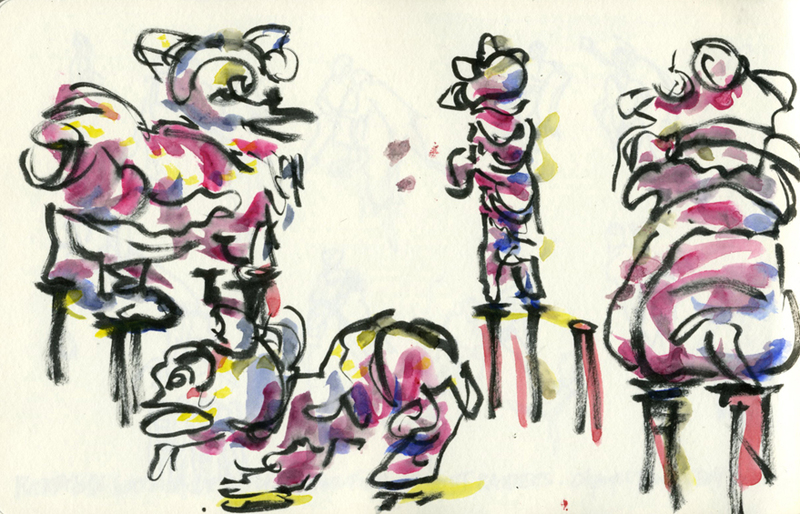 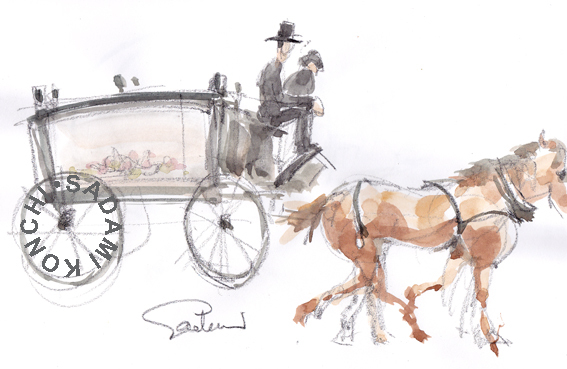 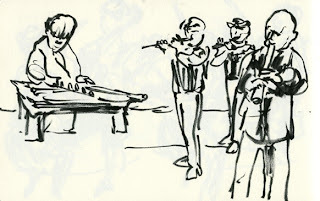 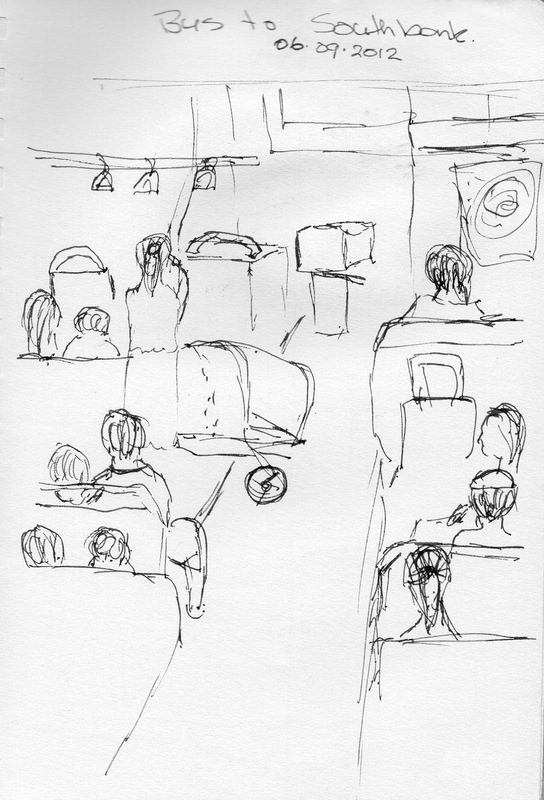 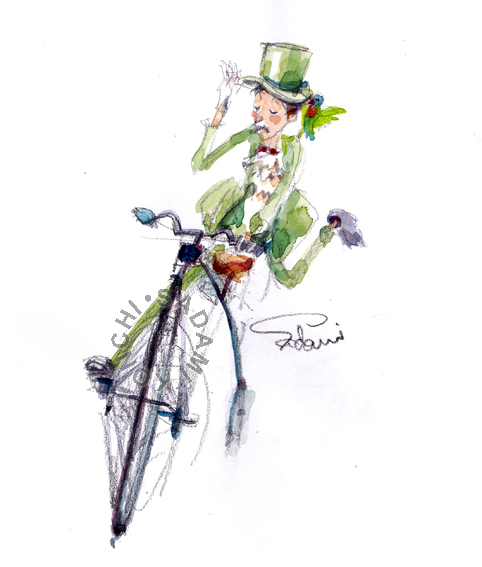 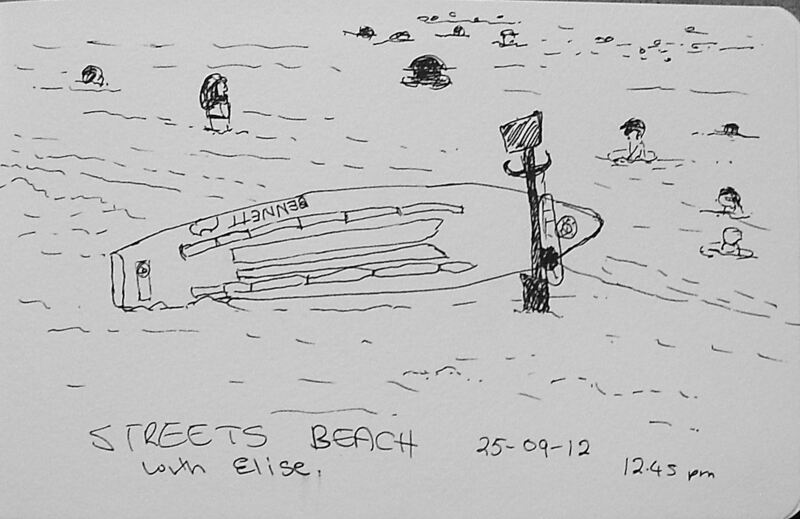 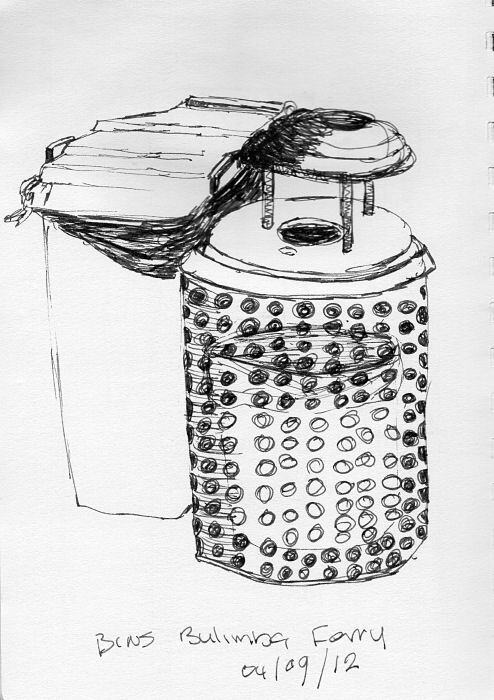 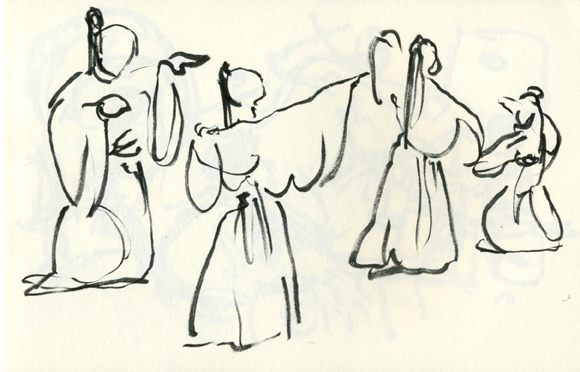 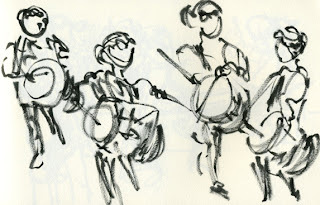 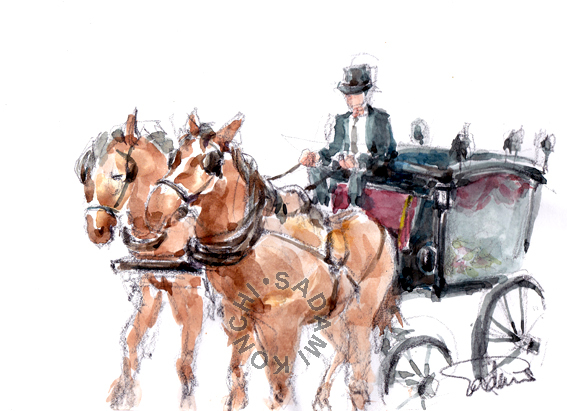 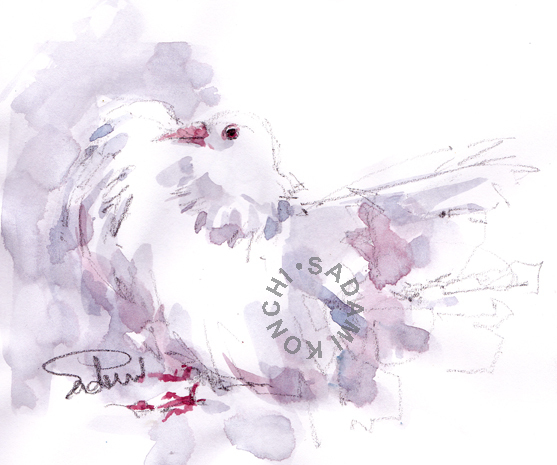 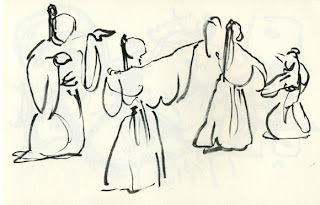 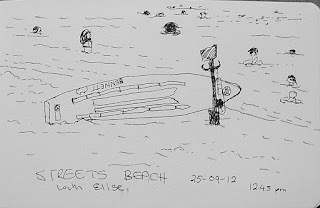 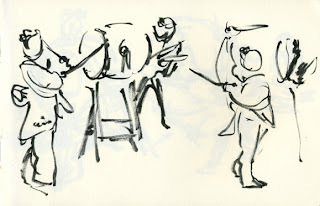 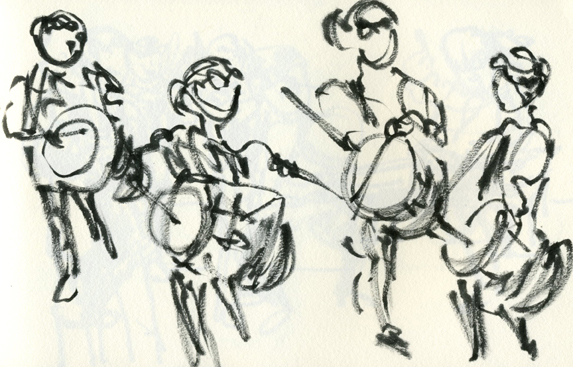 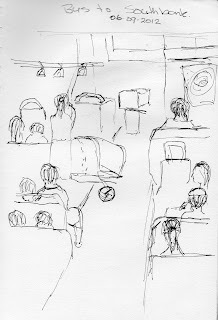 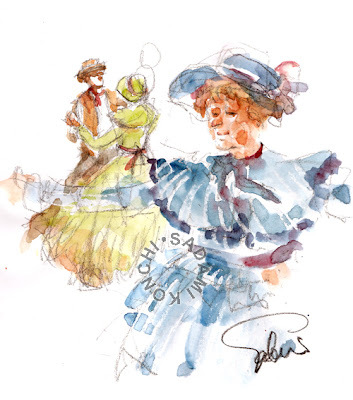 If you would like to see more drawings from today please visit my blog site. Cheers! 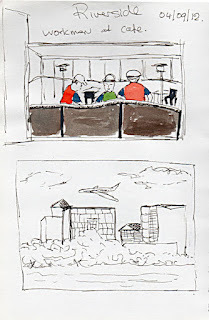 I took two of my nephews to the semi-finals of the NRL (Australian rugby league competition). 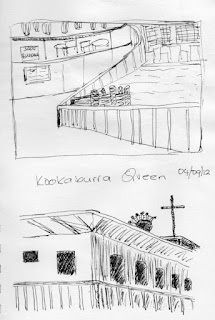 One of the boys follows Souths or the "Rabbitohs" so it was a huge game for him, but we all got caught up in the moment. 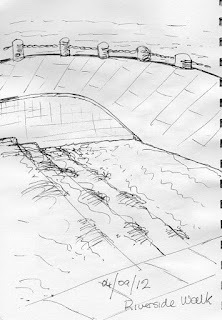 This team has been under-performing in the last couple of years but have had an awesome season this year. 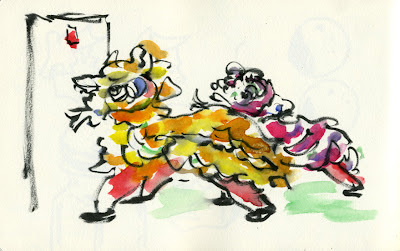 They played the Canberra Raiders who didn't play as well as they had in the last couple of games to make the play-offs. 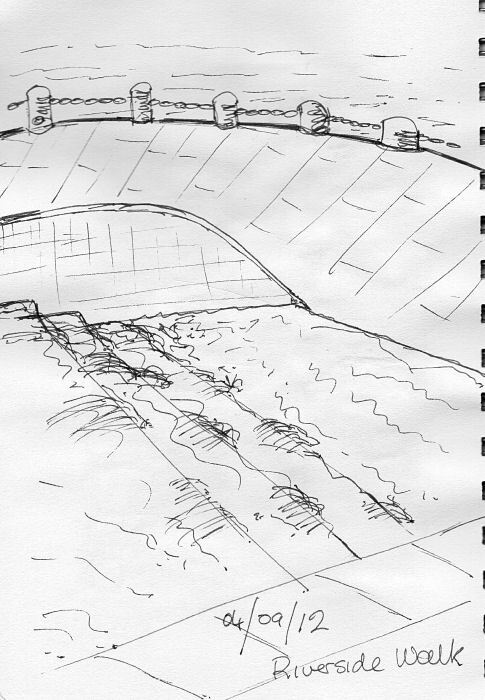 The game was at Homebush, and it was the stadium (albeit now a smaller modified facility) used for the Sydney 2000 Olympic Games. I drew this when the two teams came out to warm up before kick off. 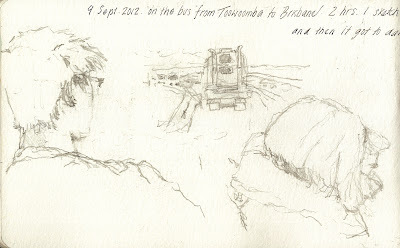 We were sitting in Souths territory, not far from "The Burrow" where all the die-hard faithful sit. 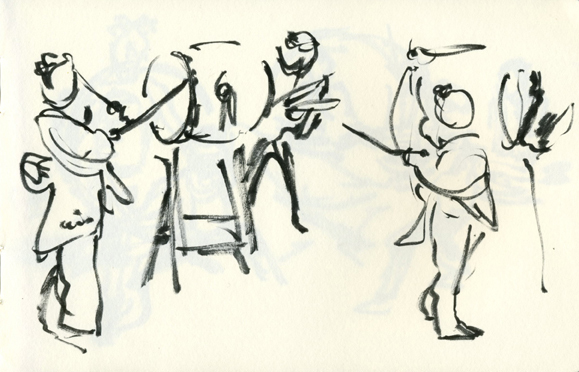 I tried drawing the players as they were going through their warm ups. 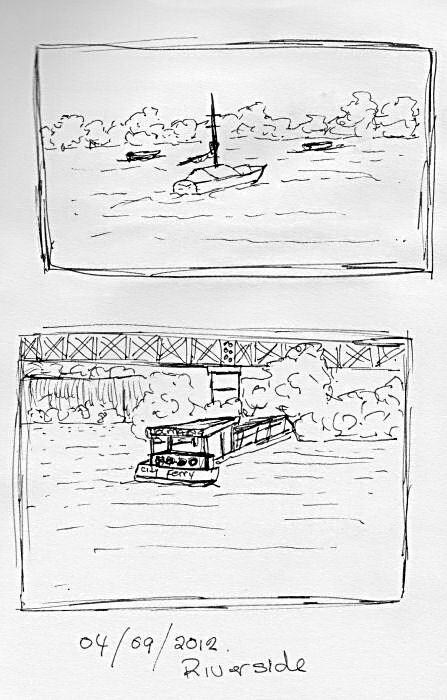 I had to rely on "snapshotting" their movement in my mind than hope for them to stand still long enough to draw. 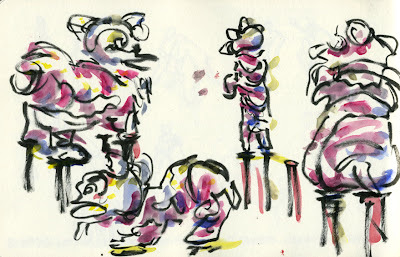 Here are a few marker sketches that I have done lately... Having lots of fun with playing with a new medium.